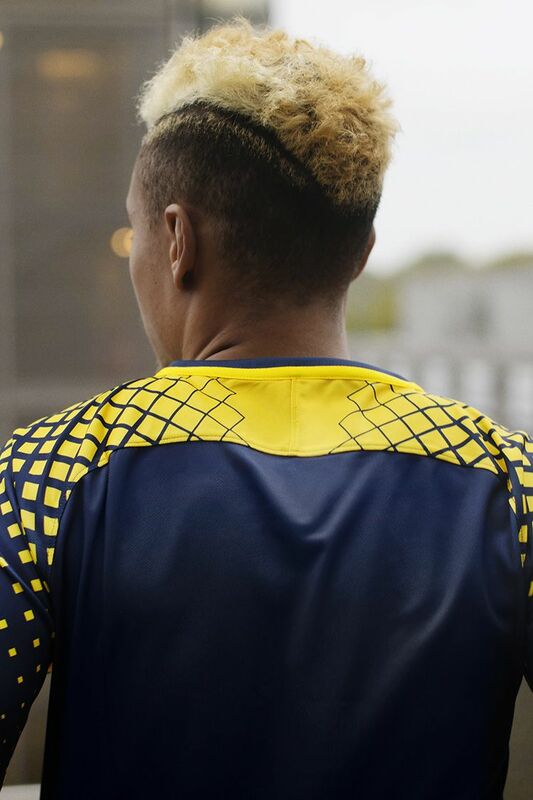 Birthed from a bold energy drink company with a bold goal, the Red Bulls' colours are a painted target for their opponents. 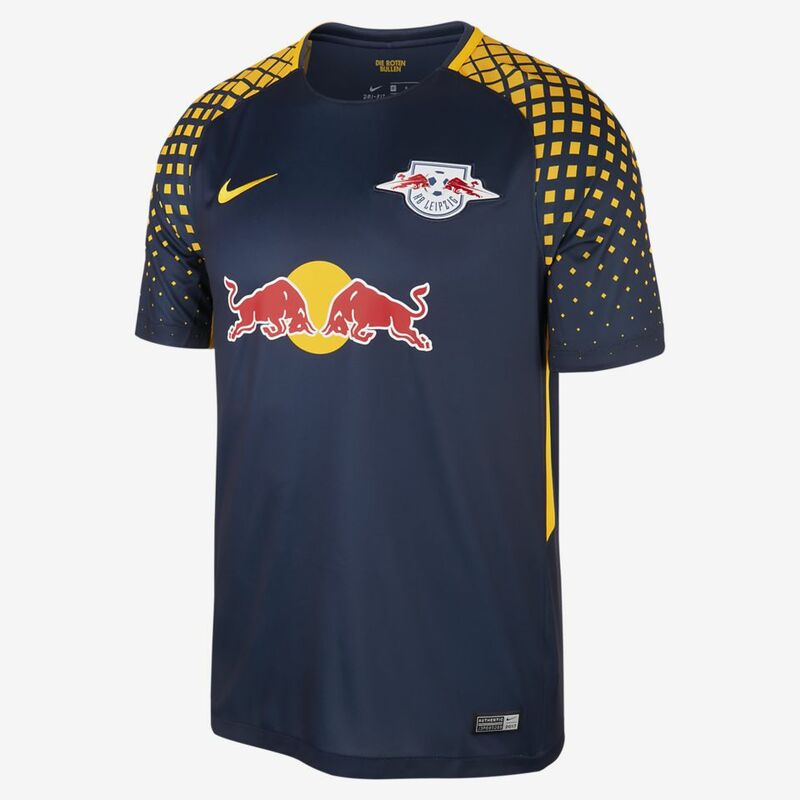 Playing just their second season in top-tier German football, RB Leipzig's Away Kit re-imagines their debut appearance with a deep blue base, inspired by the energy drink's can and a fading yellow gradient across the shoulders. 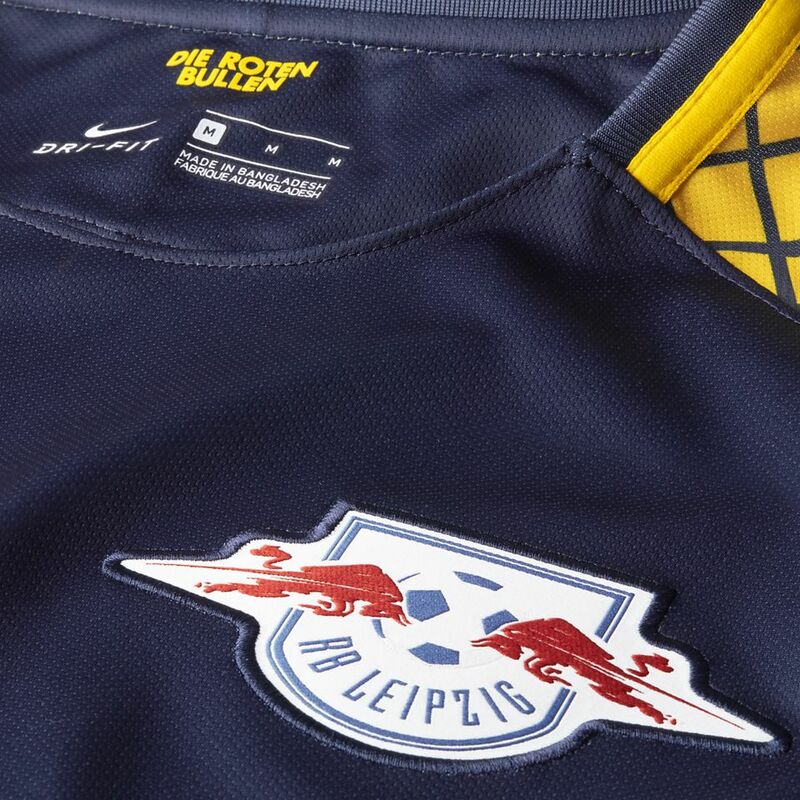 The crest mimics the Red Bull logo that dominates the chest, with notable changes to the bulls and replacing the yellow sun with a football. 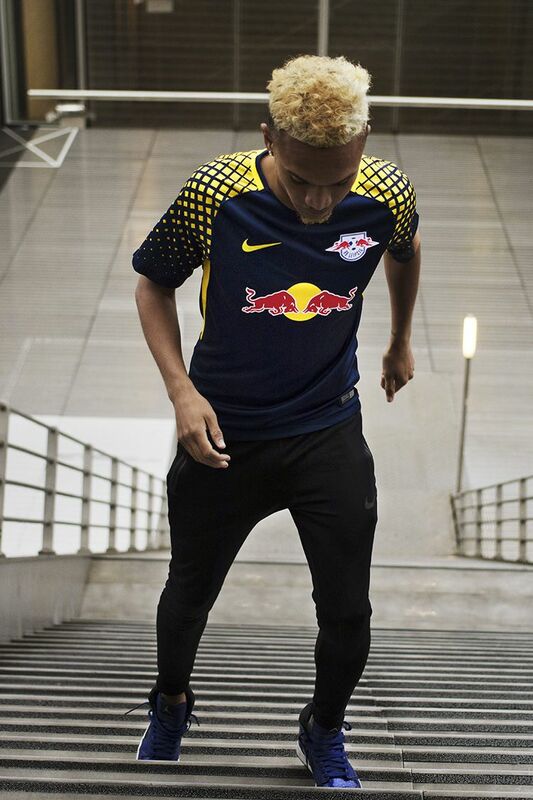 Founded as a fifth-division team in 2009 by Austrian energy drink manufacturer Red Bull, the club faced challenges from its beginning. 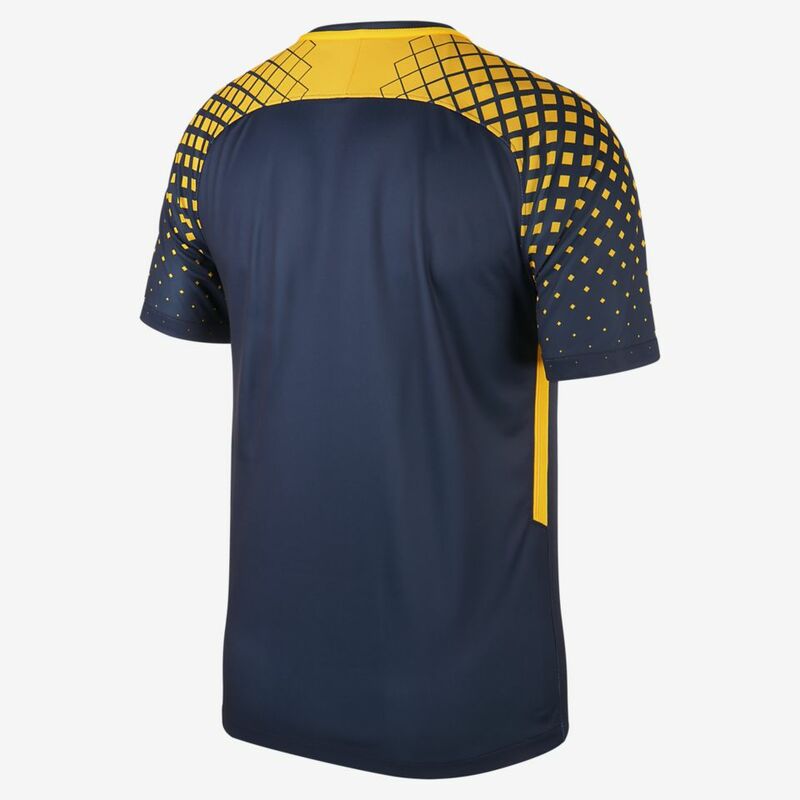 Prevented from sharing its sponsor's name by the German rulebook, the team's official name is, RasenBallsport ("Lawn Ball Sports") Leipzig. 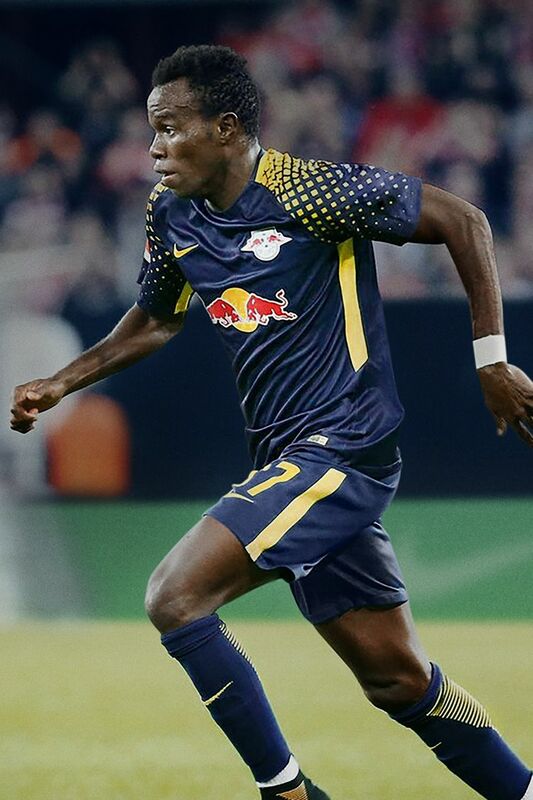 Few clubs have risen so quickly and early in their lifespans as RB Leipzig. 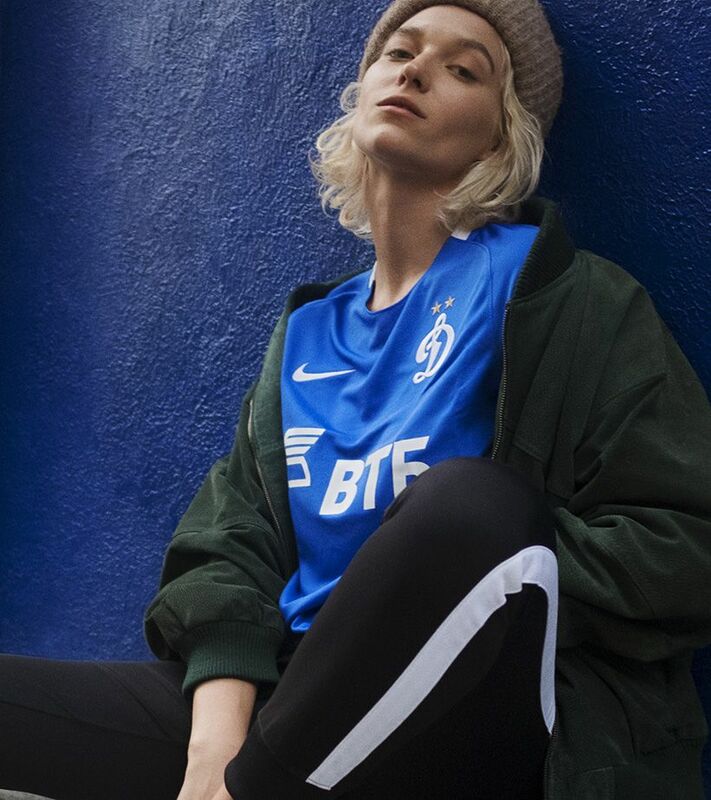 With league promotions in 2010, 2013, 2014 and 2016, the club aimed for top-tier German football from the start. 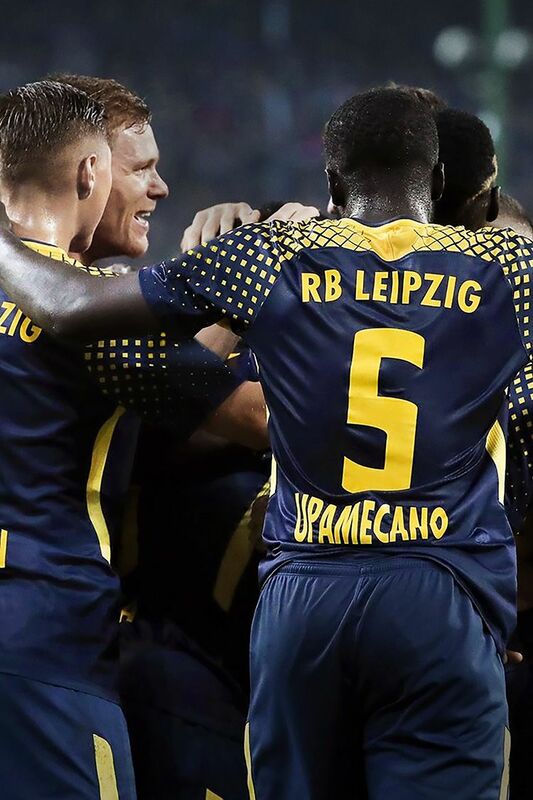 Despite opposition to the energy drink's substantial funding, the club plays with unshakable confidence in their goal of bringing champion-level football to Leipzig.